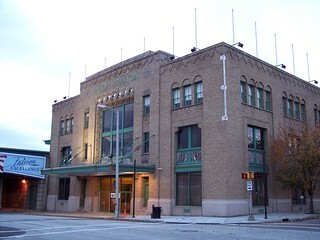 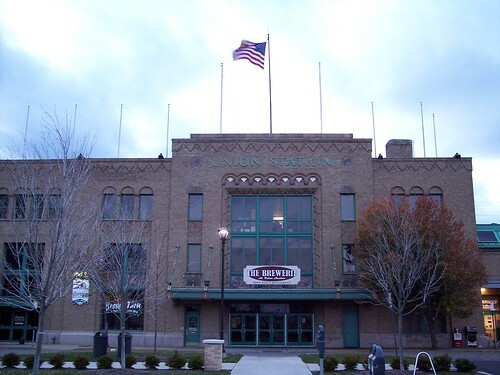 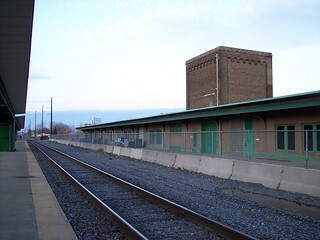 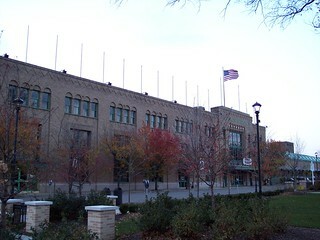 The old Erie Union Station still stands, but is now mostly used by other businesses. 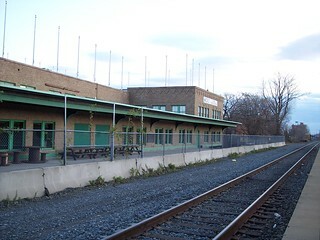 The passenger area is now in the old freight section. 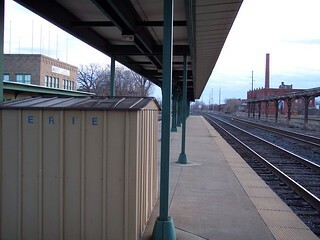 We began our trip to Buffalo on the Lake Shore Limited here in Erie. 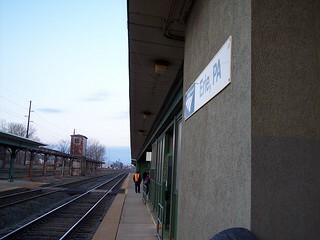 The street and track sides of the station. 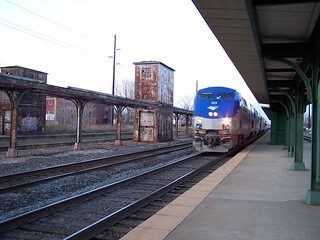 Our train arrives. 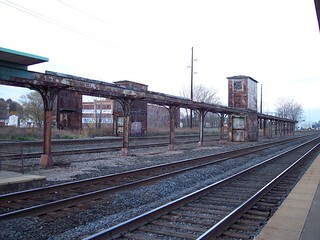 The remains of old platforms and elevator head houses can still been seen, leftovers from the days when this station saw a lot more passenger service.